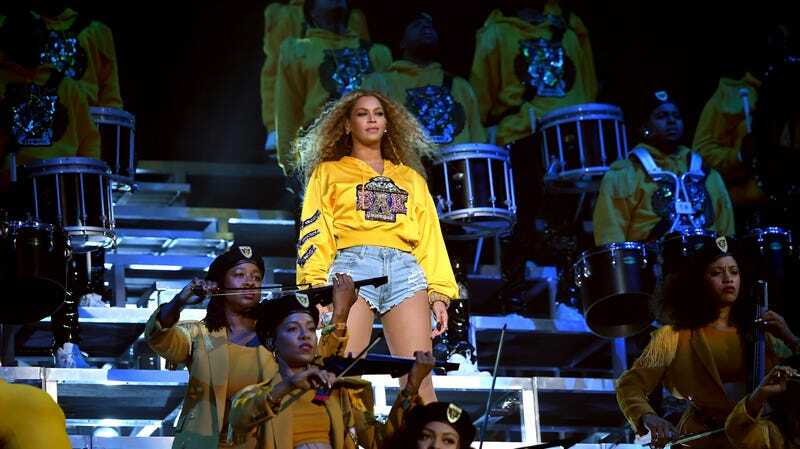 That might not seem like much to go off of, but the font and the “Homecoming” name are both recognizable parts of the iconography tied to Beyoncé’s legendary Coachella performance from last year (during which she briefly reunited with Kelly Rowland and Michelle Williams from Destiny’s Child). That April 17 date happens to land right in the middle of Coachella 2019, so it seems like Beyoncé wants to take over the whole festival two years in a row. It’s also right between the premieres of Game Of Thrones and Avengers: Endgame, so Beyoncé is essentially putting herself on par with those two pop culture juggernauts—which, honestly, seems fair.